Our crowdfunding campaign has come to a close. I'd like to personally thank you for your contribution. Every gift will make a large difference to our team and the surrounding community. Please consider coming out to one of our games and supporting the team! The California Ice Hockey Program was founded in 1929 as the sport began to take its roots across the west coast. 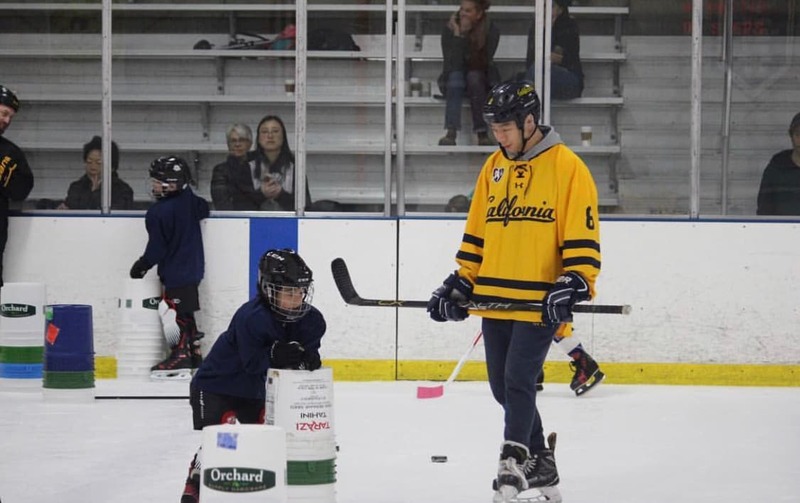 As we approach the club’s 90th anniversary, we have made it our mission to embody the values of the University of California on and off the ice. Last year, the team finished in first place in the PAC-8 during the regular season. This season, we ended up 20-5 and reached the Pacific Athletic Conference Final for the second straight year. We hope to build upon our recent successes. In order to fulfill our vision and reach the upper echelons of club hockey, we require the funds to travel and play tougher competition, host local summer camps, continue community outreach, and expand our publicity efforts. Will you help us by making a gift today? 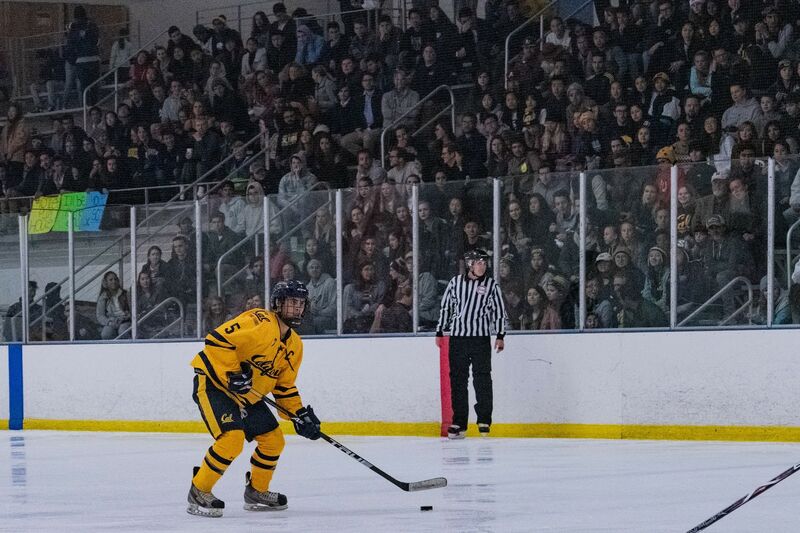 With twenty-four active players, Cal Ice Hockey is poised to expand in the coming years by fielding more teams with different levels of skill. However, as we add more players to the roster, we accrue more expenses, which could limit our team’s ability to expand our program. Based on previous budgets and our current plans, we expect to spend $86,500 in the 2019-20 season. The majority of our budget is dedicated to rink fees, which covers the costs of renting ice time for practices, games, and community events that we host. 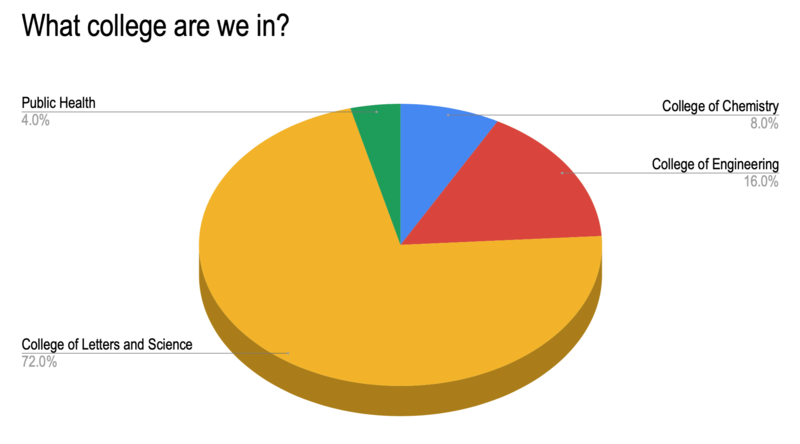 Our budgeted expenditures are shown in the graph below. 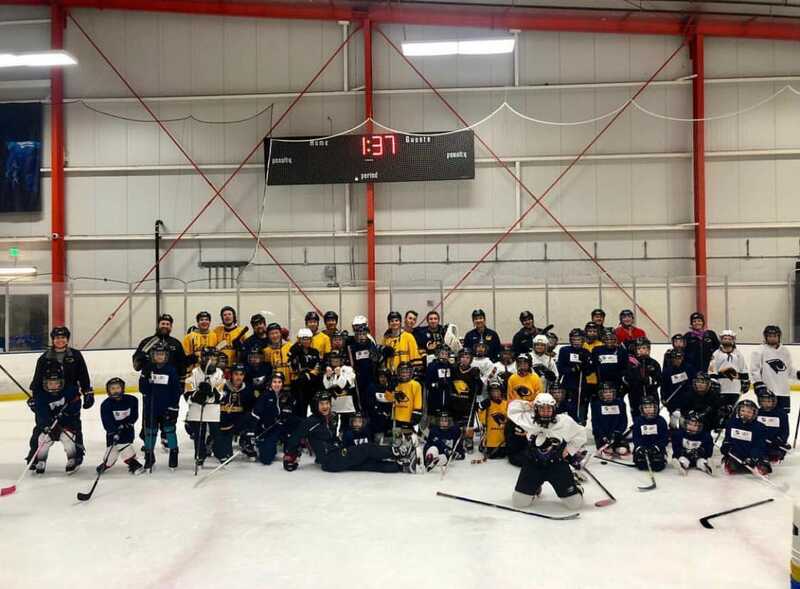 The Crowdfunding efforts that our program made this past year helped the team organize a more comprehensive game and practice schedule while participating in important community outreach events such as “Try Hockey for Free”. However, as the Pacific Athletic Conference expands from 8 to 12 teams and we shift to a 20 game conference schedule, we’ll need additional funds in order to travel and remain a competitive program. Despite having had great success this season, we remain unranked regionally largely because our ranking is based, in part, on the relative strength of our schedule and we do not have the resources to travel and play stronger teams. With more funding, including your generous contribution, we will have the ability to schedule more non-conference games against the premier programs in the West and earn a high enough standing to get an invitation to Regionals and prepare ourselves for the conference tournament. 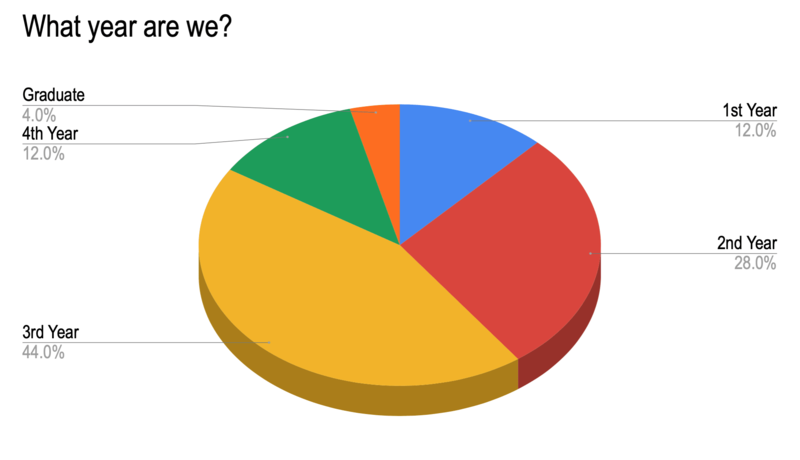 In sum, if we raise more money, we will be able to improve our program. 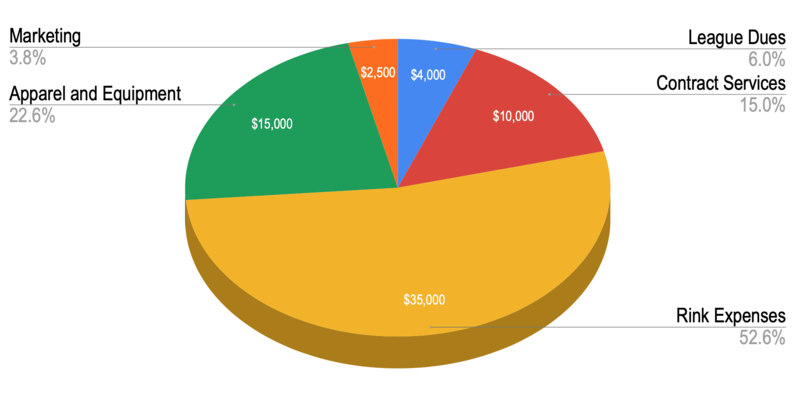 Unlike many of the teams in our division, which receive around $20,000 to $100,000 from their respective universities, UC Berkeley allocates $600 to our program and taxes us $6,370, which results in a net -$5,770. 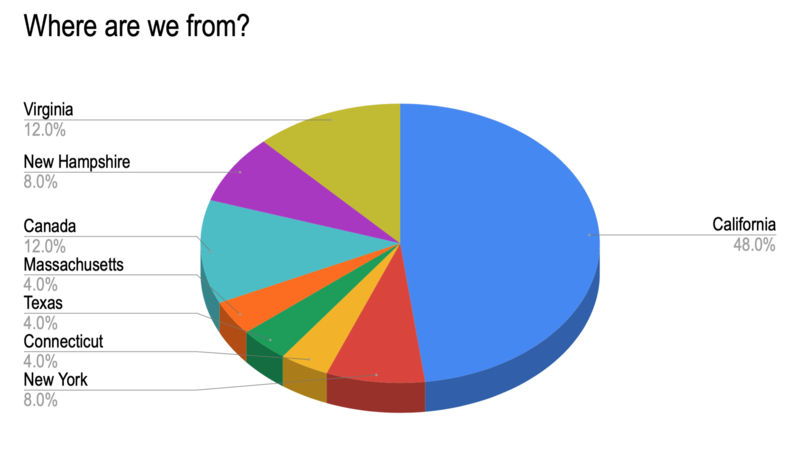 Thus, lion’s share of the Cal Ice Hockey budget is funded by dues collected from players. Unfortunately, given the demands of our sport, dues for the program have increased year to year and, though we hand reduced dues to a select few players based upon need, the price to play can prevent some players from having the opportunity to take part in our program. 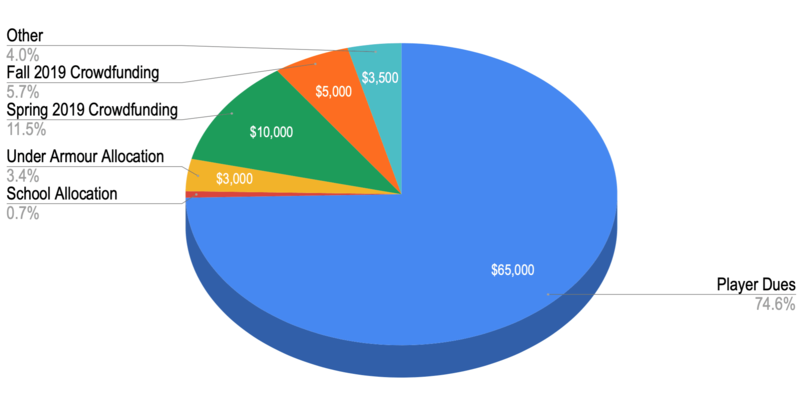 The chart below reflects the sources of funds for our budget. All things considered, the most important goal of this fundraising campaign is to expand our impact on the surrounding community. 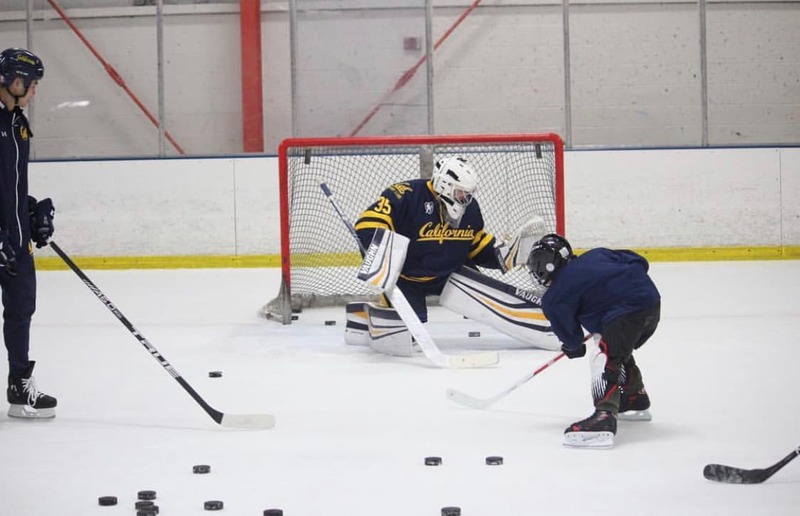 Specifically, our team hopes to invest time and money in hockey outreach events with projects like charity games, summer camps, and youth team mentoring. All in all, your donation will go a long way to help both the team and the communities of Berkeley and Oakland. We thank you in advance for your time and support, our team truly appreciates it. Receive a social media shoutout for you or your business. Received a signed team photo of the team and all previous perks. Receive a personalized video thank you from our leadership team and all previous perks. Come to a game in the 2019-20 season, do the ceremonial puck drop, meet the players after the game, and all previous perks.